The Oklahoma State Regents for Higher Education will conduct a public hearing for the purpose of receiving views and comments on the subject of tuition peer limits and academic services fees charged students as a condition for enrollment at institutions in The Oklahoma State System of Higher Education. The hearing will be held in the State Regents’ Conference Room on the second floor of 655 Research Parkway, Oklahoma City, Oklahoma on Thursday, April 25, 2019, at 9 a.m.
Those desiring to be heard should notify the Chancellor’s Office of the State Regents by 5 p.m. on Friday, April 19, 2019, at 655 Research Parkway, Suite 200, Oklahoma City, Oklahoma, 73104, or by phone at (405) 225-9116. 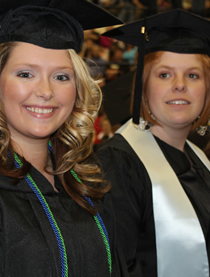 Photo courtesy of East Central University.